I’d like to recognize an act of kindness which, these days and times, is indeed a trait hard to find. I also grow weary of scarce feel good stories. Especially so when it ocmes to happening in our community. I recently had the pleasure of meeting a fine young man by the name of Tyler Yarborough who works for a local heating and air company. In my 54 years, I have never worked with a local serviceman so kind. 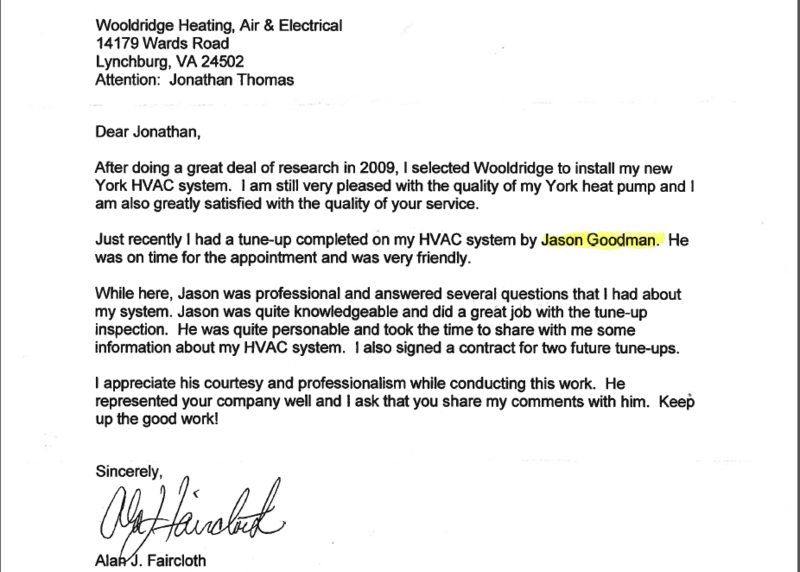 In addition he was professional, courteous and caring beyond what I have ever encountered before. Being legally disabled and due to my condition unable to do without air conditioning , Tyler even stayed at my house after working hours were over on his own time. I’d like to offer my compliments to his parents on raising him with obviously apparent wonderful values. His entire reflection must be that of a job well done by them both. I must also shout loudly to his employer to do all he can to keep this fine young man. He is a true example of a necessary catalyst to keep kindness flourishing in our community. If we can do nothing but be kind to another living soul, then our day was not wasted. Tyler will be a blessing to me until the end of my days which, I might add, will be longer now that I have working AC! Perhaps if you know him, next time you see him you might buy him a cup of coffee or shake his hand. Perhaps we should all try to exemplify kindess. What a difference it would make in our world that seems to be so otherwise crazy. Thank you again, Tyler! I remain forever grateful for you.